Buttermilk is a milk paint finish. Buttermilk is darker than Champlain White with a little more tan and yellow in its coloring. 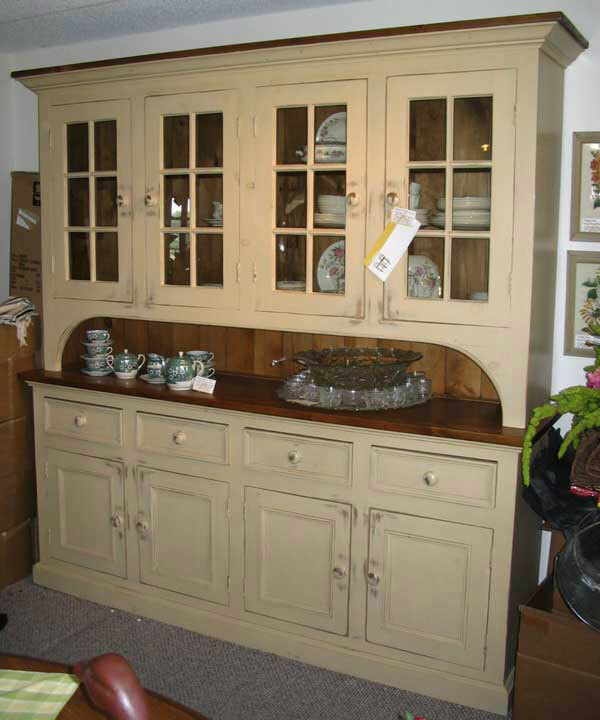 The item shown is a 4 Door Stepback Cupboard.